Kali ini saya akan membagikan KokoTime v2.0.9 terbaru untuk kalian. Jadi, mari simak apa saja fitur yang ada pada KokoTime v2.0.9 kemudian download melalui link di bawah. Overview: Kokotime is a simple and elegantly designed android media center that lets you connect to the media world through addons you can load media from media servers made available by the community and browse different type of content including movies, tv shows, etc. 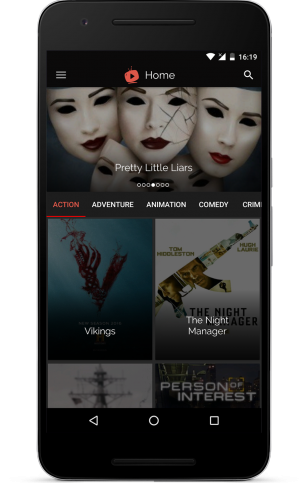 Lots of features are implemented and ingeniously put together to create the ultimate media experience on your android device and with addons you are sure to get unlimited content from all over the internet !